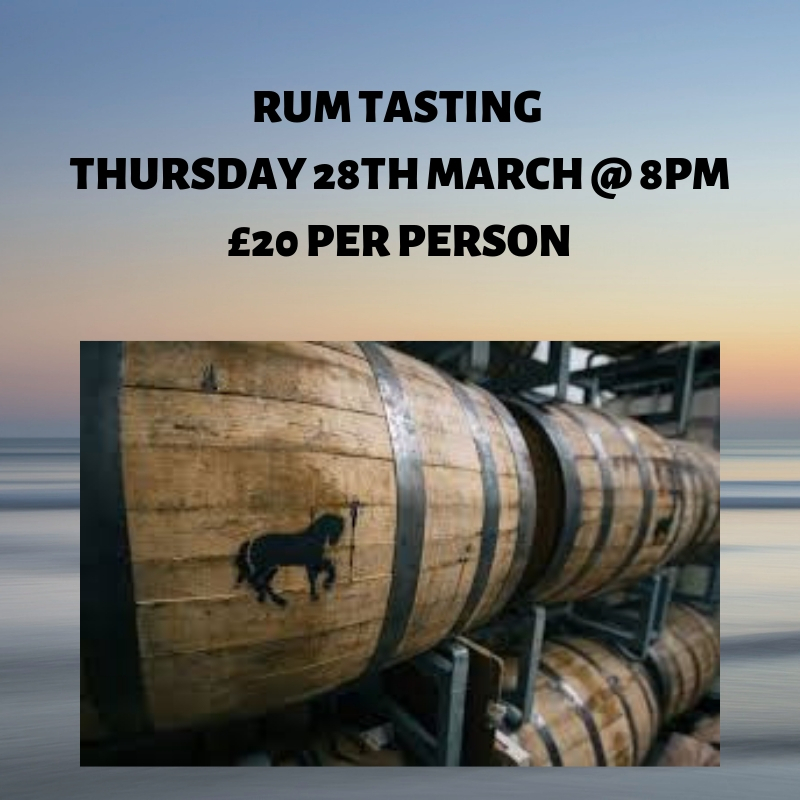 We’re hosting our first Rum Tasting here on Thursday, 28th March at 8pm. According to industry news, rum is the new gin! As such we thought we should embrace it for our fellow rum lovers. We’ll be learning a little about the different types of rum as well as sampling a few! The cost for the event is £20 per person, payable in advance. For further details or to book please call us on 01963 323998.